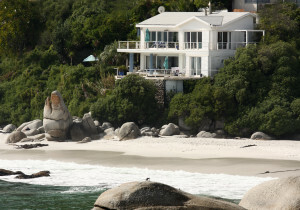 Obtaining the correct guest house insurance is imperative for your business. Not only will having the correct guest house insurance provide you piece of mind and fulfil your obligations to guests but it will also assist you in you marketing efforts. What is different about Guest House Insurance? Loss of Revenue. Aside from the normal risks businesses face guest houses have some very specific and unique risks that could see the business lose income. What would happen if a murder took place at the establishment? What impact would that have on reservations? What would happen if a guest house run by a husband and wife team saw the death of one of the partners? How would that affect the business? And so the list of “different” risks goes on. Public Liability cover. There is still a school of thought that thinks cover of R500, 000 or R1m is enough for a Guest House. As there are several liability claims outstanding against Guest Houses in South Africa right now, it’s clear that any guest house owner with a R500,000 liability limit could be in serious trouble. It is estimated that in excess of 70% of guest houses have the incorrect liability cover in place. Coping with restrictions regarding “forcible and violent entry”. As far as theft is concerned most guest house will agree that it’s almost impossible to comply with this condition. Guests come and go and leave doors unlocked or even open. Another implication of this condition is theft by guests – and sadly this does happen – this would also not be covered unless the correct guest house cover is in place. “Bilking” – where the guest leaves without paying. Accidental damage where guests damage contents in some way. Motor insurance. The last thing a guest house owner needs to hear (because he or she has “saved money” by opting for cheap personal motor insurance) is that neither the car nor the passengers are covered, as the vehicle was being used for business and not for personal use. What every Guest House must insure against? Guesthouse insurance should be tailored to each individual guesthouse, meeting both the needs and the budgets of the owners. In addition it is absolutely essential that the correct public liability cover is in place. Without this, peace of mind cannot be assured. In the unfortunate event that your guest house needs to make an insurance claim you rightly deserve and need the support of your guest house insurance broker. At a time when your focus may need to be on ensuring you can keep your guest house open, carry out repairs or replace equipment the very last thing you need to experience is a complex and unsatisfactory claims process. At Incompass we believe this is the most important part of the ongoing support we provide our guest houses. Put simply we are part of the solution and not the problem when it come to unforeseen and unwelcome events. Insuring your guest house with a specialist policy, specifically designed for the bed and breakfast and guesthouse industry is a must. A policy that understands the risks and caters specifically for them, in other words takes care of the “The Have to Haves of Guesthouse Insurance”.